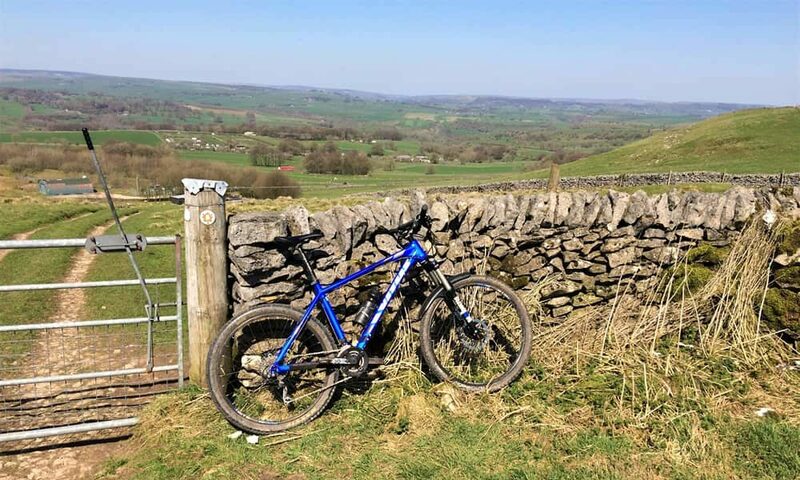 This Mountain Bike route is an excellent introduction to riding in the Peak District and includes some challenging climbs, fast descents and fantastic views. It is probably more suitable for experienced riders, however, I think most of the route could be ridden by a beginner where the more technical sections could be walked. If you would like to try other similar Mountain Bike routes in the area then I recommend purchasing the book White Peak Mountain Biking: The Pure Trails (click to check current price on Amazon). The digital kindle (kindle device not required) version of the book includes GPX files and zoomable Ordnance Survey maps. 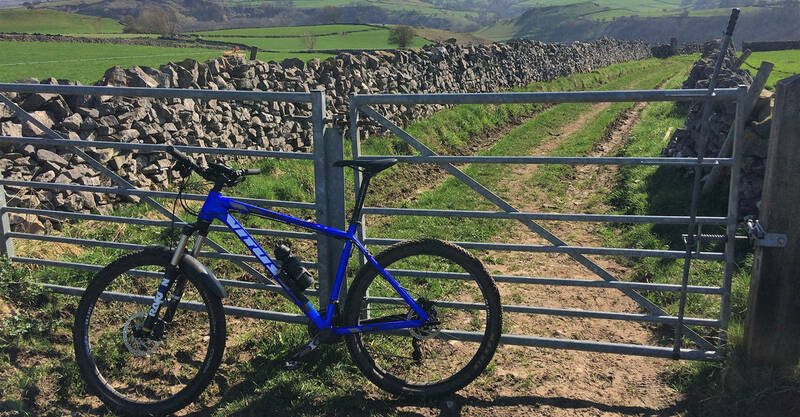 This would be my first Mountain Bike ride in the Peak District for quite a few years, so I was looking forward to it. The route started at the Parsley Hay Cycle Hire Centre, there was ample parking (£3.50 for 4 hrs) and a small tuck shop to buy any pre/after ride snacks. After a long winter, conditions today were perfect, it was sunny and temperatures hovered around 20ºc with light winds. The start of the ride was on the High Peak Trail, it was a very well surfaced, smooth gravel track and the gradient was relatively flat. I stayed on this trail for about 3.5 miles, which was a really pleasant warm-up for the legs. 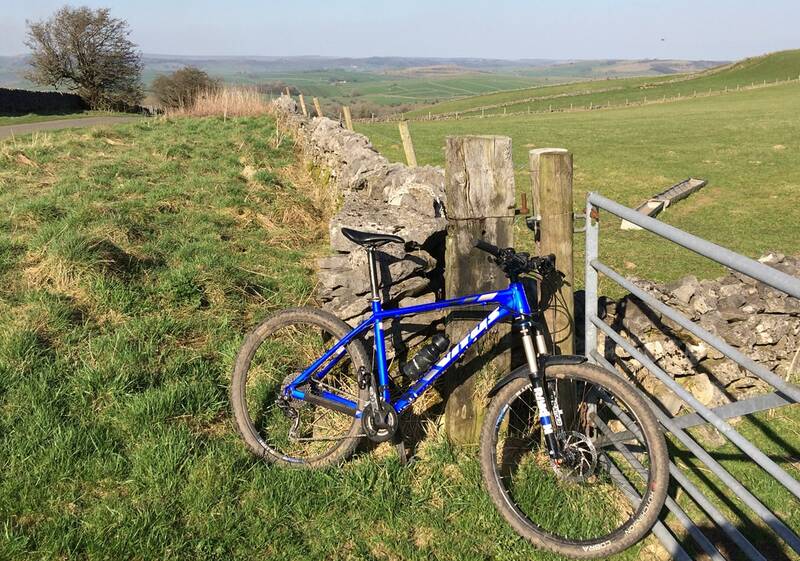 The route then joins the Pennine Bridleway and becomes a ‘proper’ mountain bike ride. The Pennine Bridleway consisted mostly of loose, gravelly double-tracks. After several miles we join the Monsal Trail, but only for a few hundred yards before rejoining the Pennine Bridleway and starting the toughest climb of the day. What made this climb particularly challenging was not only the almost 20% gradient, but also the switchback like bends half-way up the trail. Alas, I managed to ride the start and end of the climb but the middle section I had to walk. If I was a bit lighter and fitter I may have managed the full climb, maybe next time!. After a couple of short road sections you are rewarded with a fun, steep descent down a narrow single-track. You then climb back up on a short, but quite steep road section and join the Limestone Way Bridleway. This was quite muddy in places but still completely rideable. After going through a gate there is a fast descent into Monksdale Farm which was probably my favourite downhill of the ride. We then come to the last tough climb of the day on Long Lane, this is an off-road climb going on for 1.2miles with some technical, loose, rocky sections thrown in for good measure. The climb then continues on road for another half a mile where you are rewarded with fantastic views of the whole valley. After a short stretch on a minor road we rejoin the Pennine Bridleway, this section is quite flat, fast and much appreciated after that marathon climb. There is also a nice short, fast descent on the last section of the Bridleway. As I rejoined the High Peak Trail once again it’s a nice, smooth, fast descent back to the car park.